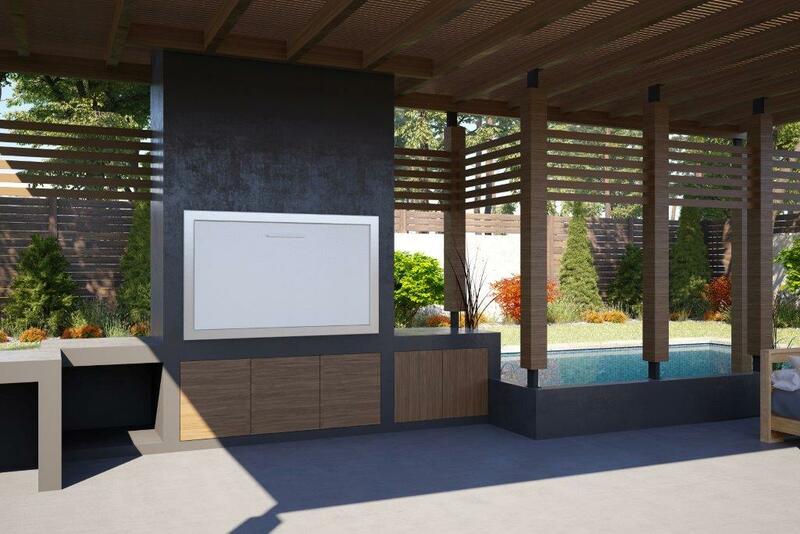 Signi Fires offer a fresh approach to our national pastime the humble braai. 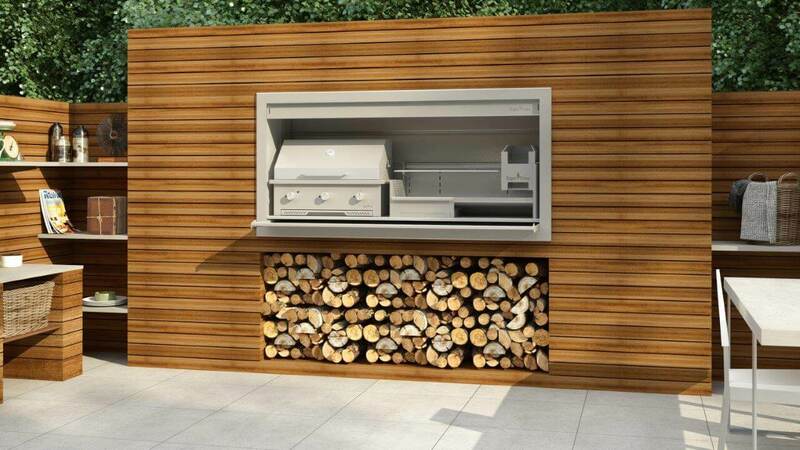 Our combination gas and wood braai provide home chef’s with the ultimate cooking weapon to impress their guests. 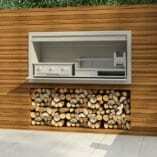 The combo gas and wood braai is available in various sizes (1200, 1400, 1600 and 1800 and 2000). Our system is modular making it very easy for customers to choose their components. 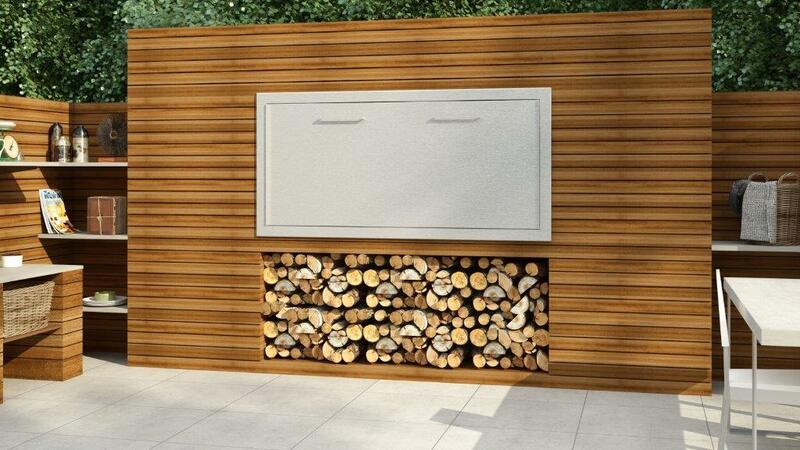 First choose your braai body size and grade of stainless steel and then choose the size of your gas braai section and your wood braai section. 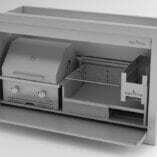 The gas Griller section sizes are 390, 590, 770 and 970 and the wood sections are 770, 970, 1170 and 1370. 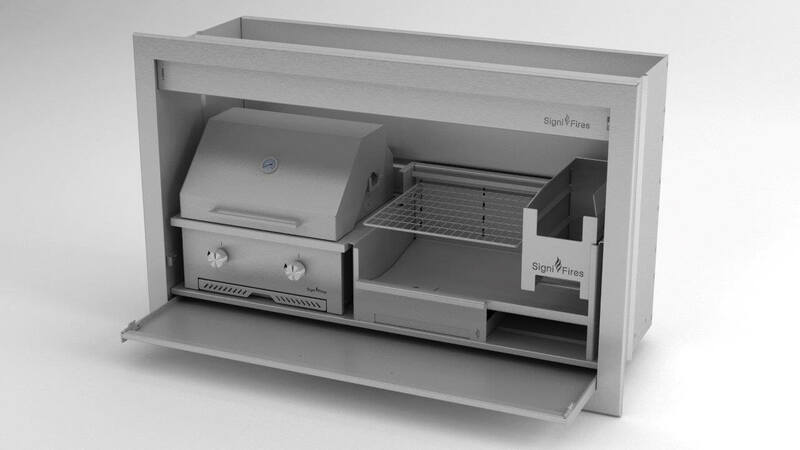 The 770 gas Griller and bigger are prefitted with a ceramic searing burner. The sear burner is a ceramic burner that emits much higher, instant temperatures. It’s the first braai in South Africa to feature this type of burner. The ceramic sear burner is perfect for grilling steaks and other meats where caramelisation is required on the outside whilst keeping the inside moist and juicy. 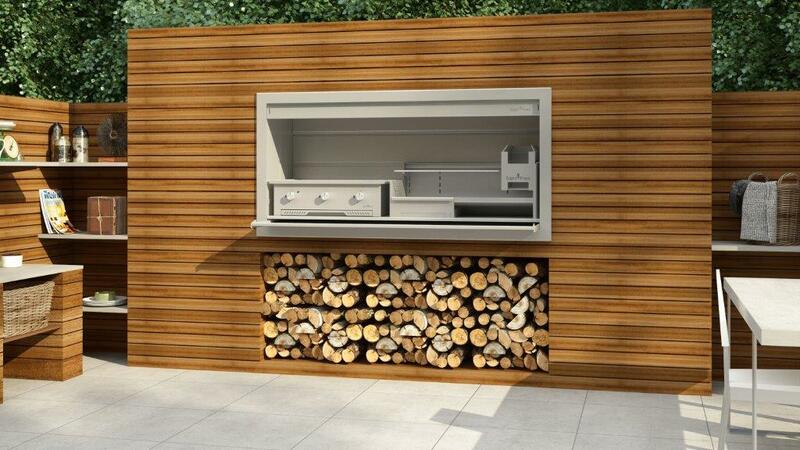 Our standard finish is 304 stainless steel but we offer the braai in 316 stainless steel for extra protection against corrosion. Our braais are 100% grade 304 or 316 stainless steel, we do not use inferior grades such as 430 on any part of the braai. The Griller in the combo braai comes standard with self ignition knobs and burners and does not require any electrical connection. 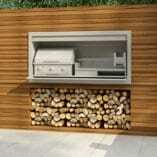 Please note that the gas braai must be installed by a registered (LPGAS) installer. 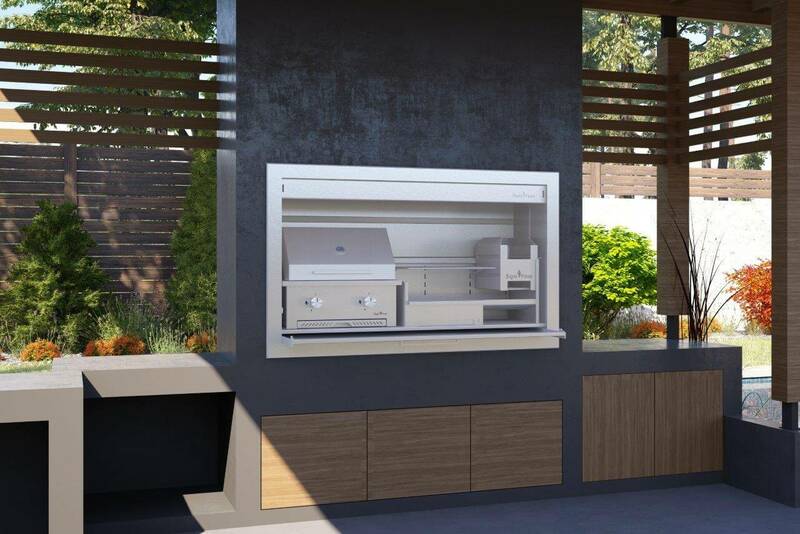 The insert combo braai comes standard with a large sliding door that folds neatly underneath the braai and doubles as a functional work surface. 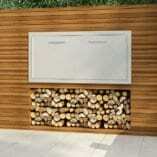 When the door is closed it gives the braai a luxurious aesthetic. 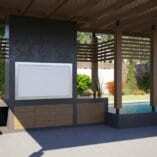 Optional frame and doors are available for below the braai. The standard combo braai is designed to be inserted into a prebuilt chimney breast and works with natural draft, however an extraction canopy (gather) can be fitted to the braai for flue fitment or motorised extraction. If a gather is requested customers must also install flu pipes. Speak to our team for a custom extraction solution to fulfill your culinary desires. Please view the technical sheets below in the specifications tab.